The Top of the World Observatory is a must-see for any visitor! The observation deck is located on the 27th floor of the Baltimore World Trade Center, and offers the best views of the city. Located on the edge of the Inner Harbor, Top of the World provides breathtaking views of Baltimore’s skyline, harbor, and beyond the Chesapeake Bay. Docent tours are available for visitors to learn fun facts about Baltimore’s history and culture. 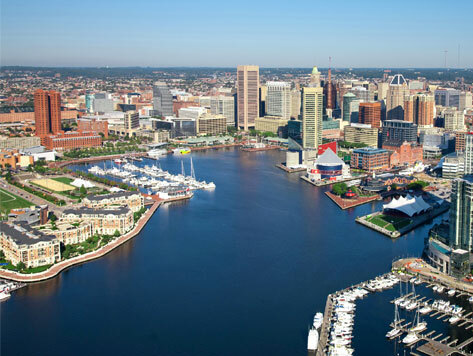 Top of the World is only minutes away from many popular Baltimore attractions including the National Aquarium, Historic Ships in Baltimore, Power Plant Live, Port Discovery Children’s Museum, and Oriole Park at Camden Yards.